Dubai is hub of business in the whole Middle East region and investors from all around the world want to establish their business in Dubai in order to maximize their profit by taking advantage of the amazing business environment and tax free incentives provided by the government of UAE and Dubai. But not all businesses get the desired result even in an ideal place like Dubai due to multiple reasons and the investors may decide to relocate their company from Dubai to any other location. Apart from that, the government of Dubai is quite strict in implementation of its rules for companies and failure to abide by these rules can result in closure of one’s business. In both these scenarios, the company owner is required to liquidate the company in Dubai. But like opening a business, there are certain rules in Dubai for liquidation of any company. These rules have to be followed properly and only after which the company liquidation process is completed. Without following the complete liquidation process, the shareholders and directors of company can face several legal complications. If they leave the country, they can be banned to re-enter the country (and in severe cases in the whole Gulf region) without clearing all the debts of the company that will be laid even for the time after closure of the business. Apart from that, it becomes impossible or extremely difficult to reopen a company if they ever decided to do so in future. Therefore, it is strongly recommended not to leave the abandoned company in Dubai without completing the whole liquidation process. These are major steps that will have to be taken for the purpose of liquidation of company in Dubai. Several documents are also required to complete the whole procedure. The whole process is lengthy and quite tiresome but it is absolutely necessary for smooth closing of company in Dubai that will relieve you from facing issues in the future. 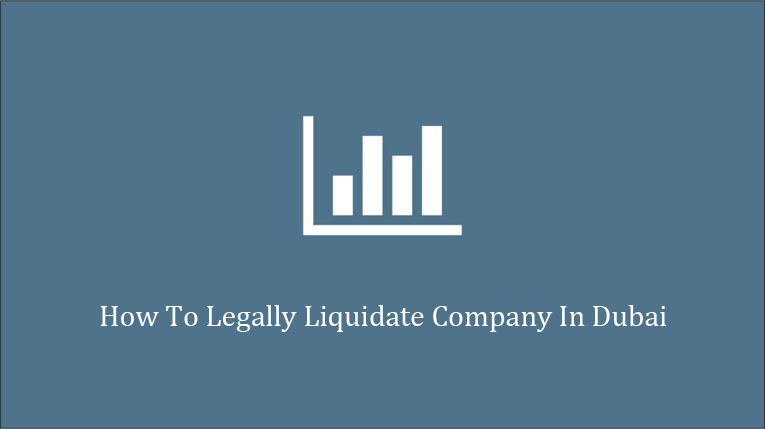 If you are planning to liquidate your company in Dubai and want to complete the whole liquidation process with ease and in limited time, then you can contact a reliable firm like Riz & Mona Consultancy. We have years of experience in solving issues related to businesses in Dubai and UAE including liquidation of companies in Dubai and other emirates of UAE. You can talk to us via our WhatsApp # 971-56-9971225.